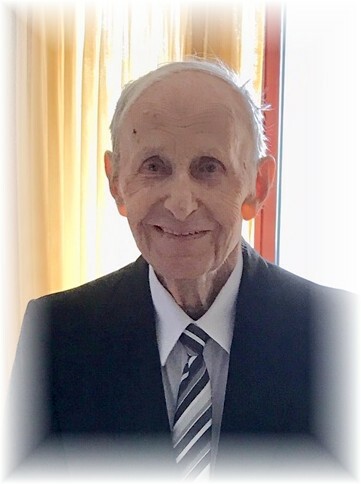 It is with great sadness our family announces the passing of our loving brother and uncle on November 3, 2018, two months shy of his 97th birthday. Mike was predeceased by his loving wife of 62 years Pauline in 2009; parents, John and Mary, brothers, Stan and Joe, sister Tena; sisters-in-law, Teeni, Gertrude, Anne and Terrie and brothers-in-law, Edgar, John, Ernie, Tony and Joe. Left to cherish his memory are brother Walter, sister Sophie, sisters-in-law Marie, Mary, Sally, brother-in-law Longe, numerous nieces and nephews and many dear friends. Mike was born January 15, 1922 in Wojkow, Poland and moved to Canada with his family in 1929. The Kowalski family first settled on a farm near Dugald, Manitoba and then moved to the Kowalski family farm on Foch Avenue in South Transcona. After many random temporary jobs, Mike found work at the Transcona Cordite Plant where he worked until he enlisted with the Canadian Army in August 1943. He served with the Victoria Rifles Unit in Italy, Germany and the liberation of Holland until returning to Canada in 1946. Mike received the Italy Star, France and Germany Star and the Canadian Volunteer Service Medal and clasp for his service in the Canadian Army. Not too long after returning from the war, Mike met his soon to be wife, Pauline Makodanski and married her on June 21, 1947. Around 1947, Mike trained as an electrician with the Canadian National Railway Company and started working in the Transcona shops until his retirement in 1985. Mike’s passion in life were his years of golfing being a member at Transcona Golf Course and playing with his brother Joe and friends until he was 92. He enjoyed his family get-togethers as well as vacationing with family and friends in Hawaii, Mexico and Arizona. Mike treasured his Labour Day trips with family to watch the Winnipeg Blue Bombers play in Regina until 2017. A big thank you to the Transcona Legion for making a second home for Mike for over 50 years. A special thank you to Dr. Strank for taking care of Mike. He was very fond of him and enjoyed going to see him. We would like to thank Misericordia Hospital Cornish 2, to all the nurses and nurses’ aides for your care and compassion you gave him. A thank you to his nephew Jason, they had a special bond together, it meant the world to him. Funeral Mass will take place at St. Joseph the Worker Parish, 505 Brewster Street on Tuesday, November 13, 2018 at 1 p.m. Interment will follow at the Transcona Cemetery. Honorary pallbearers are Jeff Herman, Brian Kowalski, Allan Kowalski, Wayne Kowalski, Paul Karchewski, Jason Balichowski, and Barry Balichowski. In lieu of flowers, donations can be made to The Winnipeg Humane Society.